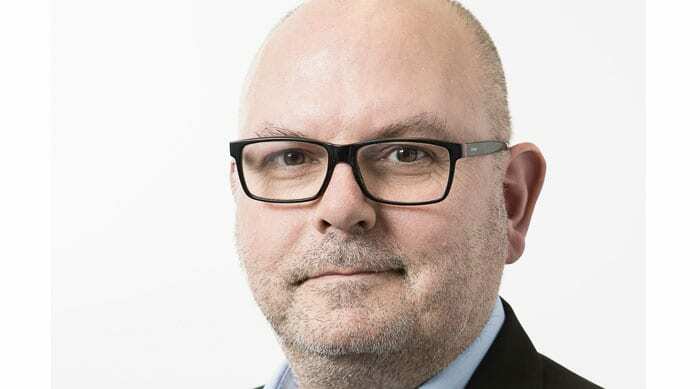 Energy Networks Association chief executive David Smith talks about how the energy networks will build on the success of the RIIO price controls in the future. As 2017 drew to a close, the publication of Ofgem’s annual performance reports on the RIIO price control provided a welcome summary of how the UK’s energy network companies are delivering for the energy market and for households, businesses and communities around the country. Levels of customer satisfaction with energy networks now run at record of almost 90 per cent; the number and length of power cuts have halved since 2002; more than 50,000 more fuel poor customers have been connected to the gas grid since 2013 so they can access cheaper energy; network costs charged to the consumer are either stable or falling. This is all against a backdrop of network costs being almost a fifth lower than when the sector was privatised – and is a track record that network companies can and should be proud of. It is clear that the current RIIO1 price control system is working, and working well, with the hard work and strong performance by all network companies receiving welcome recognition by the energy regulator. Our members, however, are not resting on their laurels. They recognise that there are some areas where there is scope for improvement. Network companies are looking forward to the opportunities that 2018 will provide to build on the success of their track record in other areas, to do that. And as we head into 2018, the debate about how we should structure the next price control – RIIO2 – is well underway. Network companies will of course be heavily involved in that but there are other areas too where they can play a wider role beyond the immediate objectives of RIIO1 and its successor, whatever shape that might take. That role is underpinned by three core strengths. First is the sense of place that network companies possess, both locally and nationally and the impact that can have. Transmission and distribution operators employ 36,000 people working in communities all across Great Britain and the energy they are responsible for supplying is key to our wellbeing and to underpinning economic growth in those communities. This means that whatever impact they have in their work, it is local as well as national. The opportunities ahead are therefore very significant. The publication of gas and electricity joint Network Innovation Strategies in the spring of this year will set out new routes to market for energy innovators across England, Scotland and Wales. For our electricity networks alone, this could help deliver as much as £1.7 billion of benefits back to the UK energy system over the next decade and smarter networks as a whole have the potential to deliver £5 billion worth of export benefits for the UK economy. In the next six years network companies are forecast to invest £45 billion, helping deliver new infrastructure investment in all corners of the country. Second is the continued importance of the role of network infrastructure in meeting our decarbonisation targets and the legitimacy of continuing to invest in it for that reason. This will become increasingly important as the Government seeks to develop policies to meet the Fourth and Fifth Carbon Budgets. 2018 will be the year when the Government will need to grasp the challenges of decarbonising heat and transport. We must not lose sight of the reality that if our power, heat, transport and waste sectors are all interdependent, then so must be the solutions for their decarbonisation. As Energy Networks Association set out in its response to the Clean Growth Strategy shortly before Christmas, a Whole-System Approach that is based on our gas and electricity networks using the latest new low-carbon, smart technologies working together in an integrated way is the best way of meeting that challenge. It is also the most cost-effective. KPMG research conducted on behalf of ENA has shown that a scenario based on evolving both our gas and electricity networks to help decarbonise our economy could save consumers as much as £214 billion by 2050 compared to a full or near-full electrification scenario. Third is the strength of the price control system as a lever for public policy. Since privatisation this system has proven to be successful in providing the clarity that companies need to invest and innovate, including in helping the Government meet its wider social policy objectives. Gas Distribution Networks (GDNs) will have connected 91,000 fuel poor households to the gas grid between 2012 and 2021 whilst also delivering funding to fuel poor households to reduce the cost of those connections through the Fuel Poor Extension Scheme. They are delivering a safer gas system by replacing 3600km of old metal gas mains with new plastic pipes each year. Electricity networks are reducing carbon emissions not just through connecting new renewable forms of distributed generation, but also through their own innovation – projects by Distribution Network Operators (DNOs) already undertaken through the Low Carbon Networks Fund could reduce CO2 emissions by up to 250 million tonnes, the equivalent to 824 million trees. In October last year, the Department of Business, Energy & Industrial Strategy suggested that DNOs and GDNs could also play a role in helping deliver wider energy efficiency policy. As we head into 2018, network operators have much to be proud of. The outcomes of RIIO to date are first and foremost a reflection of how the price control system is working well, and within the context of the cut and thrust of the current public debate on energy we should not lose sight of that. Those outcomes are also a reflection of the strong track record that network companies have developed over the years, meaning they are well placed to deliver when it comes to meeting the challenges of the future.